Why do we dress the way we do? Why has fashion changed and evolved over the centuries? How did the 3-piece suit come about? Why have hemlines risen and fallen over time? In The Anatomy of Fashion, respected fashion commentator Colin McDowell goes beyond standard fashion histories and narrative surveys to answer these questions and many more. Uniquely structured, taking the reader through fashion and dress from head to toe - the whole body is anatomized into sections including ‘The Body Unclothed’(Skin and Body Adornment, Materials and Texture, and Colour and Pattern), ‘The Body Anatomized’(‘Head to Waist'and 'Hips to Feet’), and ‘The Body Clothed’(Looks and Themes in Dress). Visually rich, with over 500 photographs, illustrations, paintings and film stills, the book includes work by designers and labels such as Ralph Lauren, Chanel, Yves Saint Laurent, Alexander McQueen, Versace, Carhartt, Diesel and more. 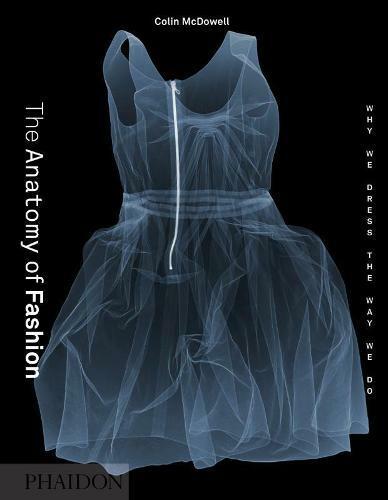 The book’s dynamic structure and layout are equally suited for browsing and for serious reference, but The Anatomy of Fashion is not simply a picture book. It is a sourcebook by one of the world’s leading fashion scholars that seeks nothing less than a thorough analysis of the roots of every aspect of fashion today. Thought-provoking and richly visual, Nature Morte brings together, for the first time, the poignant, provocative re-imaginings of the traditional still life by over 180 international contemporary artists.